In this program you can experience a full Samurai Kembu Sword Dance lesson with a chance to try on a traditional samurai costume as well as a chance to watch and live performances from the Kembu Masters. Our National Licensed Guide will pick you up at your hotel or your designated place and take you to the venue. 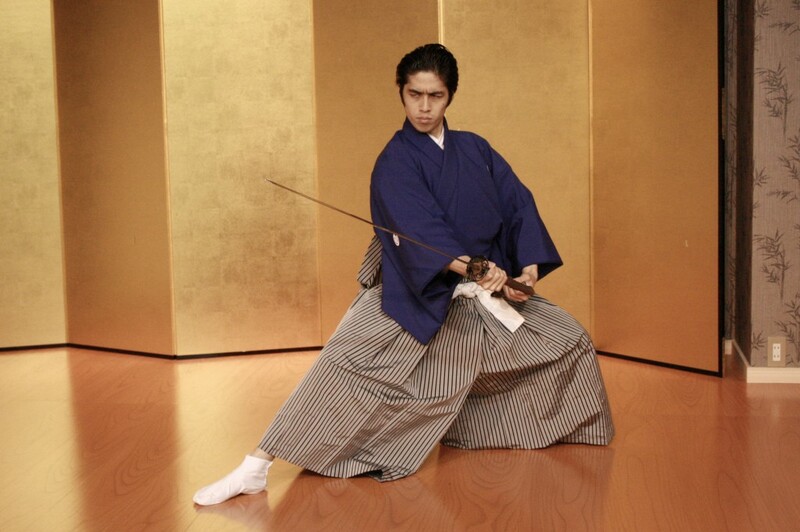 You will learn the general knowledge of samurai and the Samurai Kembu Sword Dance. You may choose your samurai costume and dress up as a samurai. 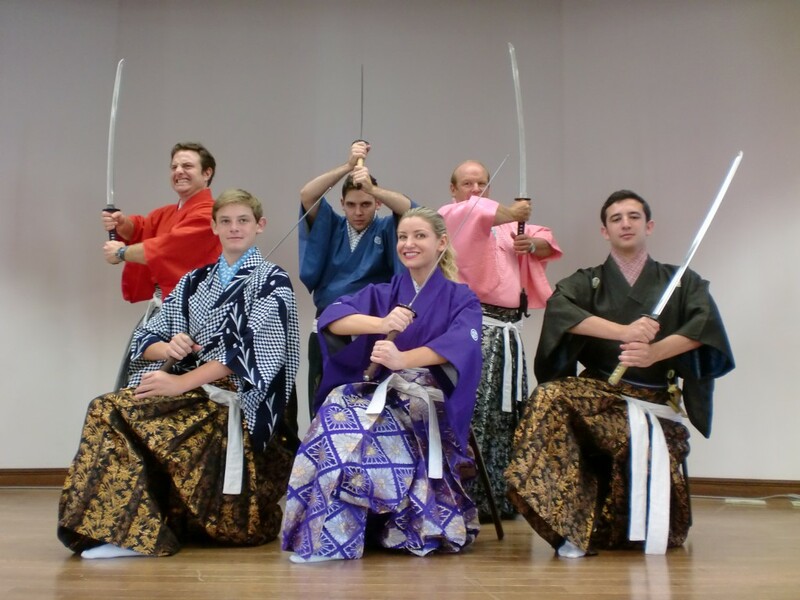 In this lesson you can learn and practice, some aspects of the etiquette of samurai classes as well as practice basic choreography of the Samurai Kembu Kembu Sword Dance, including how to use the katana (Japanese sword). In this lesson you will have the opportunity to learn a variety of moves with the katana. You can also experience how to use the folding fan if you wish. The one hour stage show is performed by the masters. After the show you can take pictures with the masters. You will get a certification and a small present. Daytime Show: Available on Mon. Wed. Fri. (doors open 11:00)11:15-14:15. Evening Show: Available from Mon. through Sat. (doors open 17:00)17:15-20：00. 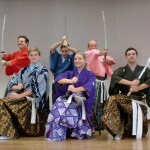 • Samurai Kembu Sword Dance full lesson and demonstration with costume fee. *The applicable hotels for pick up are limited to the hotels between Higashi-oji-dori and Nishi-oji-dori (to the east and west) and Imadegawa-dori and Jujo-dori(to the north and south). *If you wish to hire taxi service, you have to pay the actual cost separately."